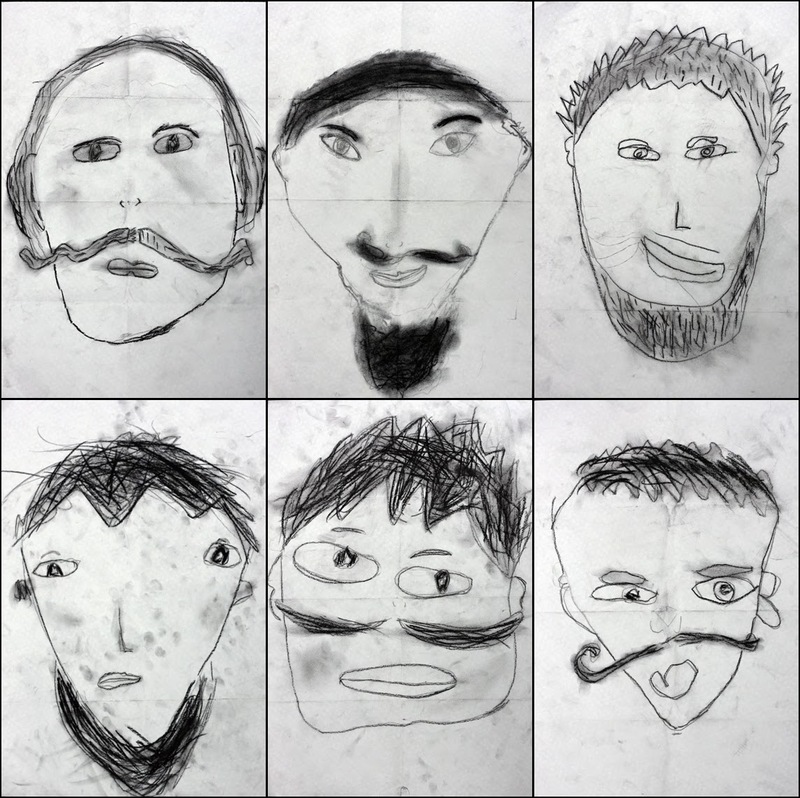 Men with facial hair, as illustrated by year one students with charcoal. 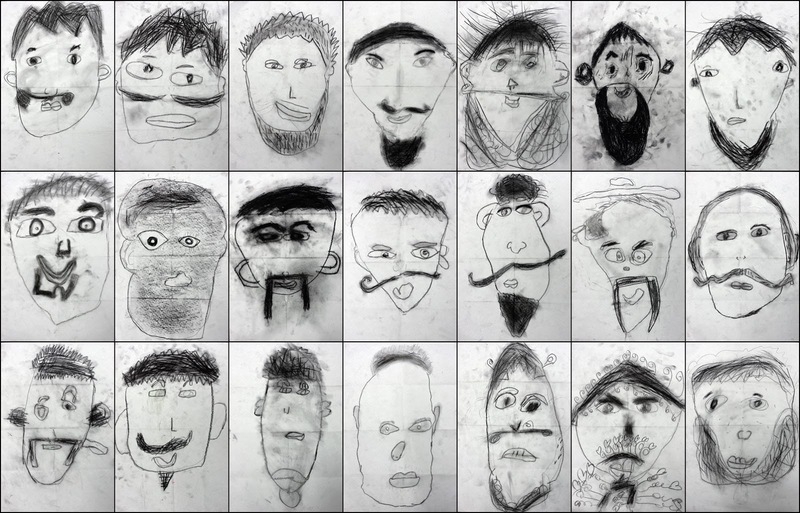 Some of the technical terms in this very cultured art lesson included beard, goatee and moustache. This is the first time I can recall ever using or having students use charcoal... Gasps of shock horror from the real art teachers out there - Who is this impostor?! I'm just a regular classroom teacher who likes making art in class, keen but naive : ) So any sagely words of wisdom, must dos and don'ts or other secret tips that you know about using charcoal please let me know in the comments below! Ha, so you think we know. I often use charcoal and with any age. They all get value out of them. I teach where it comes from, how to rub the marks with their fingers to get variety in shade, how to use a sharp broken edge for crisp lines and how to keep the ball of their hand away from their work. I have used them to repeat an observational drawing which they had done in pencil. I also encourage them to wipe their hands on the carpet often, to keep them clean. The carpets rough surface does the trick and my carpet is old. It all disappears up the vacuum cleaner. I like your technical terms! I like using it on colored paper and mixing chalk in there to get whites. I love your site. I am attracted to many of the same types of lessons you do. Please keep posting!